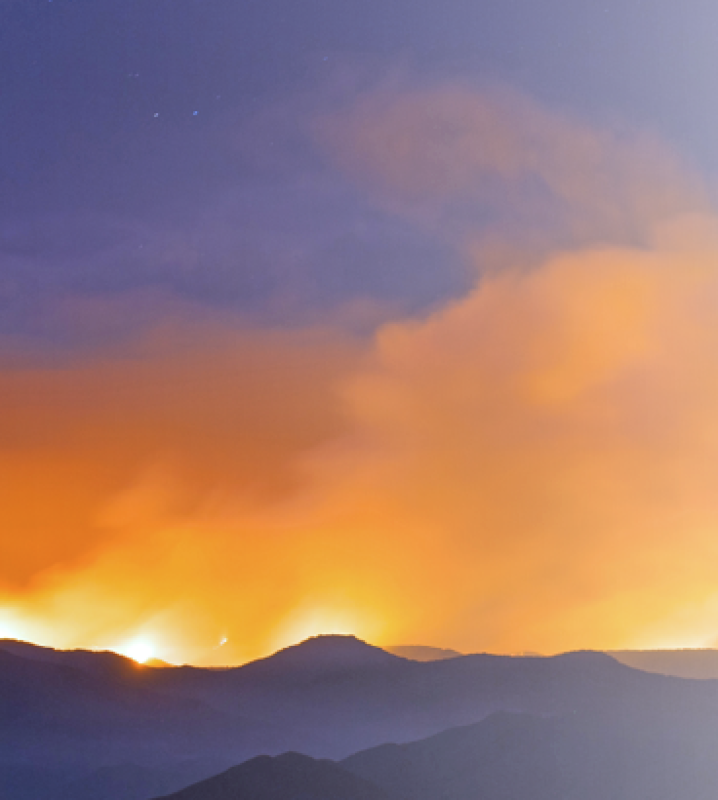 From wildfires in California to hurricanes in the Caribbean, 2017 was reminder of how easily terrestrial connectivity can be disrupted. Photo of the Sand Fire in California. 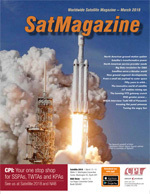 Satellite communications technology is playing an increasingly more significant role in connecting communities, governments and institutions around the world. That same connectivity is also helping to advance scientific research and healthcare initiatives, providing critical communications services to first responders in remote and devastated areas and bridging the digital divide across countries. Satellite connectivity is key to enhancing and informing our human experience. Together with the company’s partners, SES has been able to fundamentally improve — indeed, transform — those crucial efforts. With evolving technologies, people often take for granted the ability to quickly get online or effortlessly make phone calls. But what happens when disaster strikes? Earthquakes, wildfires, floods and hurricanes can, and often do, decimate a country’s telecommunications infrastructure. In those situations, reliable connectivity is absolutely critical to safeguard life. Emergency first responders must have access to reliable networks through which they can communicate and coordinate in order to bring help as quickly as possible. This need led to the creation of the emergency.lu in 2012. The emergency.lu platform is specifically designed for first responders working in ravaged areas. 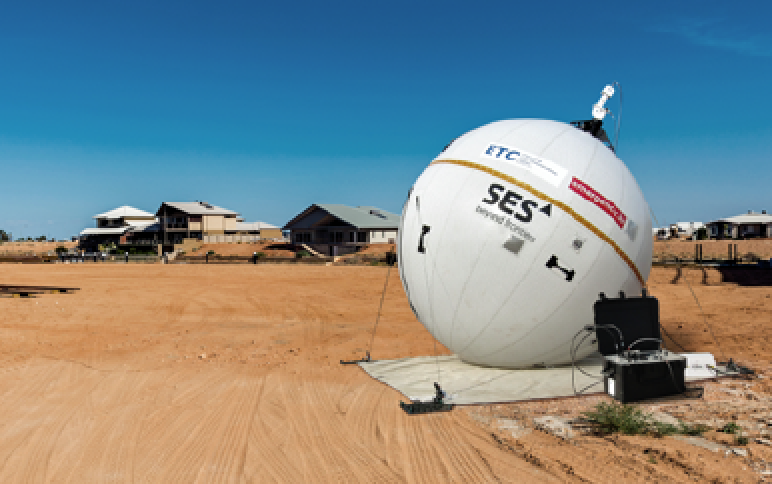 SES contributes satellite-enabled connectivity and services to the effort. Over the past several years, emergency.lu has been successfully deployed to various geographical areas, including Haiti and the Philippines. Most recently, the portable terminals were used to re-establish communications at the airport in Saint Martin and coordination centers in Dominica, following the devastation brought by Hurricanes Maria and Irma. 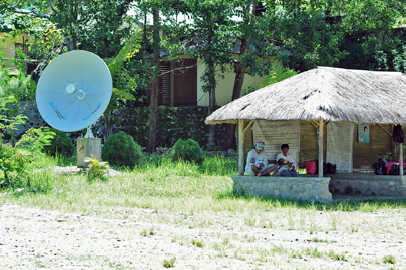 Satellite-enabled solutions offer more than just immediate disaster response connectivity. They can also support high throughput data applications and mobile backhaul, which can assist in connectivity restoration efforts. In Hurricane Maria-ravaged Puerto Rico, SES Networks’ FastConnect satellite-enabled network was used in conjunction with Project Loon to restore 4G/LTE connectivity on the island. Beyond times of crises, modern connectivity is essential to development of economies and access to jobs. Yet whether running a fair trade e-business, accessing a world-class education site via distance learning, or simply surfing the internet, many countries still cannot fully leverage modern communications technologies and applications, due to lack of connectivity. Emergency.lu portable communications station. Photo is courtesy of SES. For example, residents in some parts of Africa or South America are relegated to using dial-up internet speeds — other countries enjoy 4G/LTE connectivity. While some countries lack access due to their economic state, there are places that lack connectivity due to significant geographical challenges. Those locations and residents have very limited or, in some cases, no access to modern communication technology. However, satellite-enabled connectivity solutions can bring changes to these areas. SES Networks has made the commitment to connect the unconnected, to bring communication opportunities to everyone, regardless of their geographical location. One such example is the SES Networks effort in Burkina Faso — a landlocked country in Africa with a population of more than 17 million residents. The terrain in Burkina Faso, spanning 274,000 square kilometers, makes communications between various points within the country difficult and unreliable. Government, educational and healthcare institutions had difficulties in delivering services and learning tools. 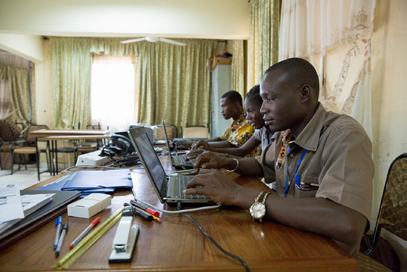 SES Networks, supported by the local Burkinabe Government and the Government of Luxembourg, devised a viable, future-proof infrastructure to deliver high-speed communications to connect government entities of Burkina Faso, enabling better coordination and quality services to the residents. SES Networks’ solution integrates wireless terrestrial communications and available fiber-optic networks into a satellite-enabled infrastructure. The networks will connect nearly 900 sites across the country. 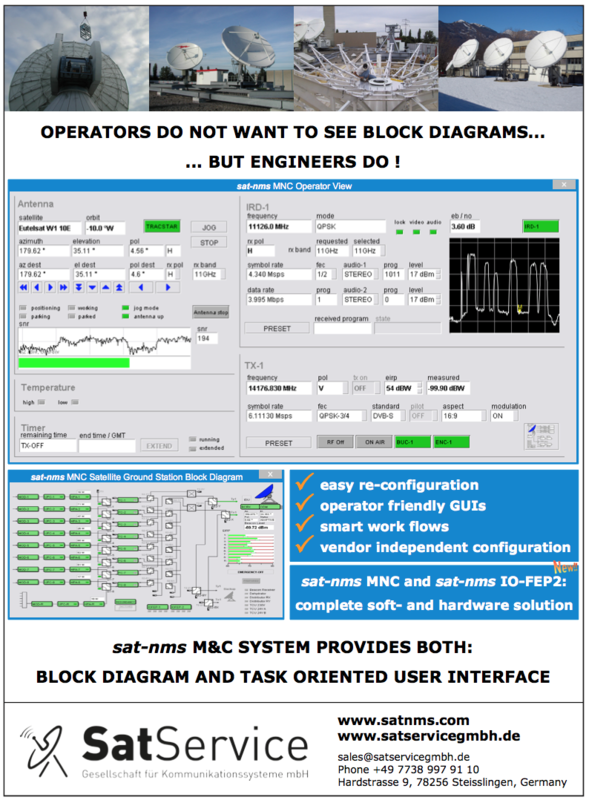 SES Networks’ O3b terminals, which will bring Medium-Earth Orbit (MEO) connectivity, are already being installed as part of this multi-phased project. SES Networks is also helping to develop local expertise to make this multi-phased project locally sustainable. Upon completion of the project, Burkina Faso will enjoy cutting-edge connectivity. 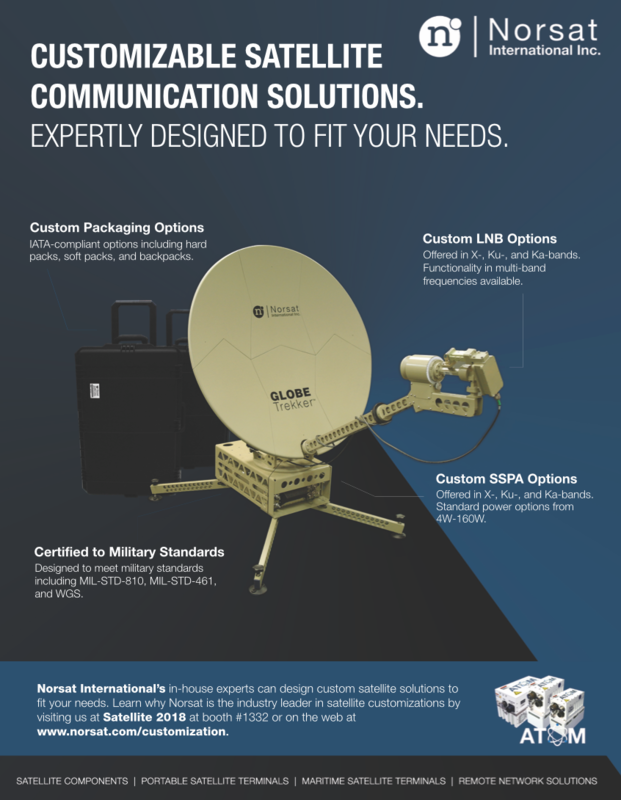 Satellite-enabled communications technologies also provide researchers, government representatives, humanitarian workers or exploration entities with vital communications capabilities that work just as well as those offered through traditional fiber networks in big cities. For instance, SES Networks is currently involved in supporting connectivity service for several hundred members of an expedition in Antarctica. High-speed satellite connectivity solutions have also been deployed for peacekeeping missions in some of the most challenging areas of Africa. Satellite connectivity can also make a difference in the field of e-health and contribute to the achievement of the UN Sustainable Development Goals. The SATMED e-health platform, established with the support of the Luxembourg Government and SES and supported by partner NGOs, connects doctors and nurses who are based in remote locations, with other healthcare professionals. The platform has been deployed over the past several years in various parts of Africa and Asia. Additionally, SATMED provides access to medical applications such as e-training, accessing patients’ e-medical records, virtual consultation, and video conferencing. There are even more remote regions, far beyond the Earth, where satellite technology is playing a critical role in advancing humanity forward. Satellites are helping governments, researchers and scientists to gain a better understanding of the vastness of space and the processes that are taking place there. To explore these vast regions and to power various other missions, SES is providing timely and cost-efficient access to space for governments through the use of commercially hosted payloads. For instance, the SES-14 satellite carries NASA’s Global Scale of the Observations of the Limb and Disk (GOLD) hosted payload. GOLD’s mission will provide scientists with information and revolutionize our understanding of the nearest reaches of space. It fills a critical gap in knowledge of the Sun-Earth connection by observing a dynamic area in Earth’s upper atmosphere that responds both to space weather above and the lower atmosphere below. Within its mission, GOLD will provide unprecedented imaging of the Earth’s upper atmosphere from the Geostationary orbit. SES-14 isn’t the only example of smart, cost-efficient mission-enabling collaboration between SES and governments. SES-15, for example, hosts a Wide Area Augmentation System (WAAS) hosted payload to enable the U.S. Federal Aviation Administration (FAA) to enhance Global Positioning Systems (GPS) with the goal of improving the accuracy, integrity and availability of the system for the aviation industry. SES’s satellites also carry hosted payloads for the European Geostationary Navigation Overlay Service (EGNOS), which helps to verify, improve, and report on the reliability and accuracy of positioning signals in Europe. The applications for satellites and hosted payloads are virtually endless, in space and on Earth. Many of the benefits of connectivity and the applications these technologies empower are made possible thanks to a unique combination of SES’s Geostationary and low-latency, high throughput, MEO satellites. That diversity is a technological and industry advantage that supports both traditional and innovative communication solutions. To serve the growing demand in various sectors, including governments throughout the world, SES is launching more MEO and Geostationary satellites, including High Throughput Satellites (HTS). In addition, SES recently announced the O3b mPOWER, the most powerful, flexible, and scalable satellite network ever. O3b mPOWER will deliver multiple terabits of throughput to connect more people, communities, and businesses. This network will be a significant step forward for satellite technology as well as the next phase of connectivity for global, high performance network communications. More individuals will be able to communicate with one another other without struggle. First responders, scientists, doctors, government workers and many others will find their jobs more fulfilling, no matter their global location. This is the transformational power of connectivity in the government and institutional sector. Satellite-enabled solutions are playing a key role in these endeavors, making the world increasingly connected and opening an array of opportunities for millions of the world’s citizens. In the 10 years since Ms. Robinson joined SES, she has served in a variety of Executive roles leading teams in the area of government product development, business development, government affairs and marketing. Prior to joining SES, she served as the leader of the Strategic Communications function for the U.S. Joint Forces Command’s Standing Joint Force Headquarters (SJFHQ) with General Dynamics as well as the U.S. Army Center of Military History. Ms. Robinson is known in the satellite industry for serving in a variety of leadership positions including two terms as Chair of the Hosted Payload Alliance as well as Vice Chair, Board level positions for the Washington Space Business Roundtable, Techcom and others. She was the recipient of the 2012 Future Leaders Award by the Society of Satellite Professionals International and is a member of “The FEW,” an invitation-only assembly of senior executive women. Ms. Robinson is certified in Federal Financial Management by the Federal Training Center, completed her bachelor’s degree in Communications at Radford University, earned an MBA from Liberty University, and is a graduate of the Senior Executives in National and International Security Program at Harvard University, Kennedy School of Government.